The 2019 Diesel Jeep Wrangler will soon be arriving in Ohio, and drivers are bound to love this updated vehicle. The 2019 Wrangler features all the amenities you love from the existing Wrangler but with some updates and the new diesel powertrain. This combination delivers versatility, capability, and practicality in a single package. One of the things that Ohio drivers will absolutely love about the 2019 Diesel Jeep Wrangler is its ability to handle any type of weather thrown its way. Summer will be smooth sailing, and you can take advantage of the ability to remove the top or even fold down the windshield to get a nice breeze on warm days. During the winter, the Jeep Wrangler will give you all the traction and clearance you need to get through the toughest blizzard that Ohio can throw at it while the tires and various safety systems ensure you don’t lose your grip on ice. In the spring and fall, the Wrangler diesel will supplement that careful driving when the road is covered in rain, with or without slippery leaves as well. 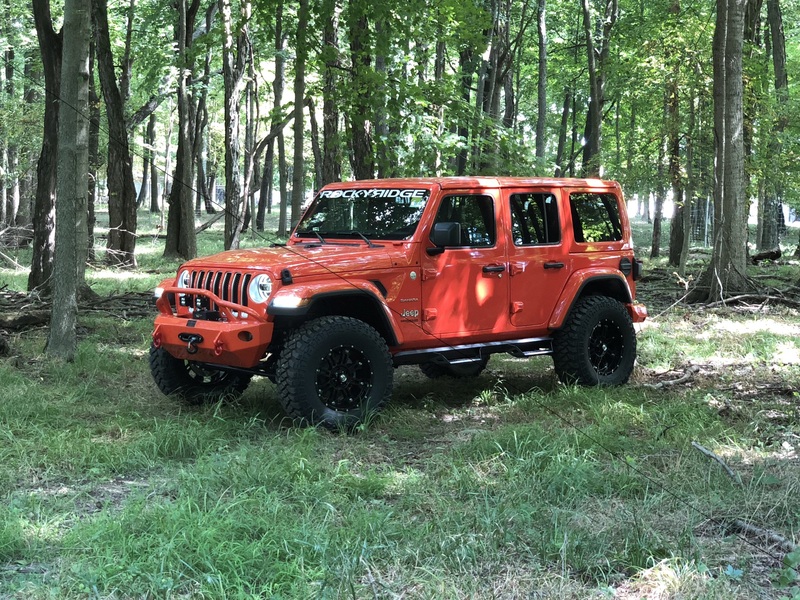 Ohio drivers love to take advantage of the outdoors all year round, and the 2019 Diesel Jeep Wrangler gives you the ability to do just that with all of your favorite toys. When the weather is warm, you can use the Wrangler to tow boats of varying sizes or something small like a jet ski or two. During the winter, go ahead and tow a snowmobile or something similar. Or tow a trailer with other gear no matter the time of the year, whether it is a horse trailer or a trailer loaded with everything you need for a camping trip. To supplement those abilities, this particular version of the 2019 Jeep Wrangler also gives you all the benefits of a diesel powertrain. As such, you can expect improved fuel economy and torque compared to the typical gas engine. It also offers more low-end power and an overall better driving experience on the highway.